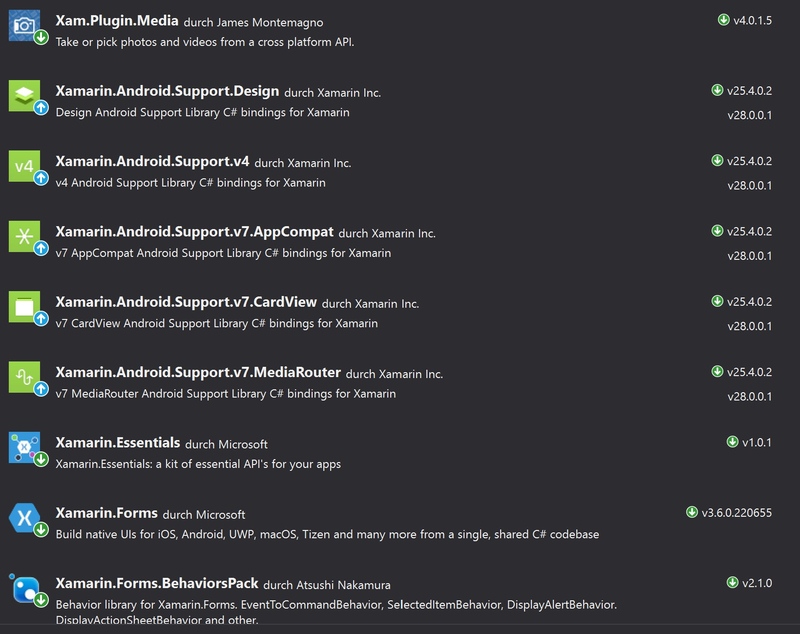 I just updated to Xamarin.Forms 3.6. Now it is necessary to use as Target Version in Android 8.1. Now I can not build the Android project anymore. I want to make my App available for min, Android 7.1. 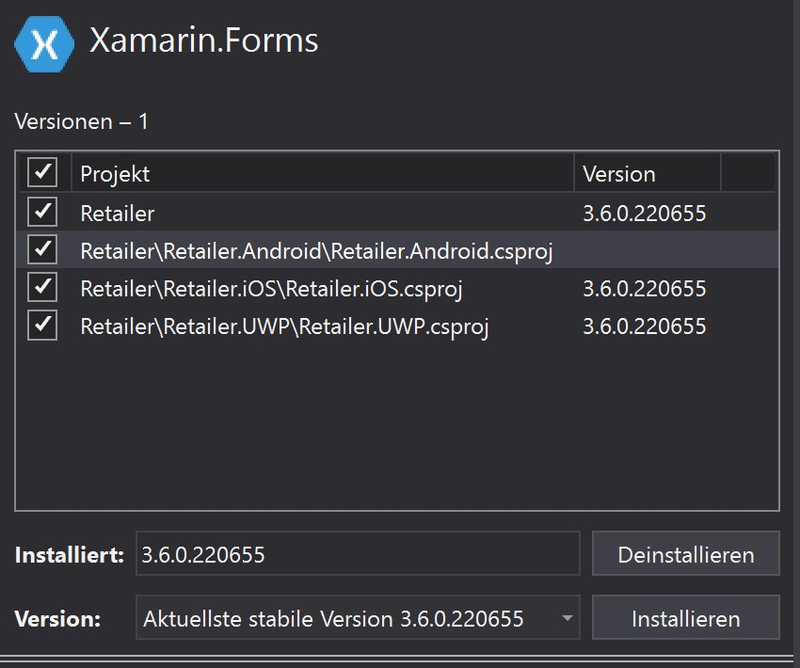 You can try to update the Xamarin.Android.Support.x to the latest version (v28.0.0.1), and then try again. 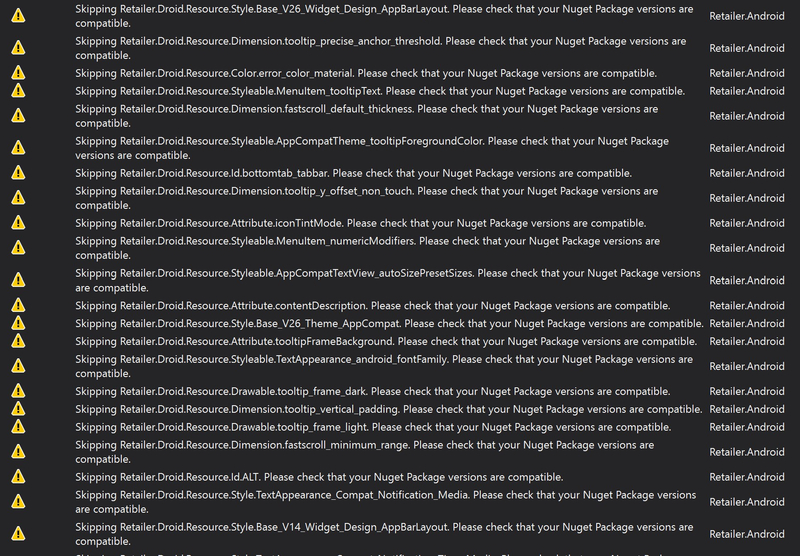 @Agredo When you updated XF to 3.6 in NuGet manager, that also should have updated the Android Support packages. It appears that didn't happen. So update them first. Also check if you have downloaded the Android API 27 SDK. @ShantimohanElchuri @jezh Thank you for the answers. Should I first downgrade XF and then update the Android Libraries? @ShantimohanElchuri @jezh I cant downgrade XF or Update the libraries because of the same error. @Agredo I know about a folder where all these packages are downloaded to but don't know its name and location. Usually I have seen advise to delete all in that folder and just reload the solution and start the project. That will reload all required packages. Since I can't point you to that location, there is an alternative. Just uninstall XF for all projects and all remnant Android Support packages. Then clean install XF 3.6 to all projects. That should install the correct required support packages. Even if it installs API 28 packages, I remember, it should not matter as I experienced earlier before I installed API 28 SDK. I have created a new app and tested the problem. In this condition, you just click the Install button , then the Xamarin.Forms Nuget will be installed totally. 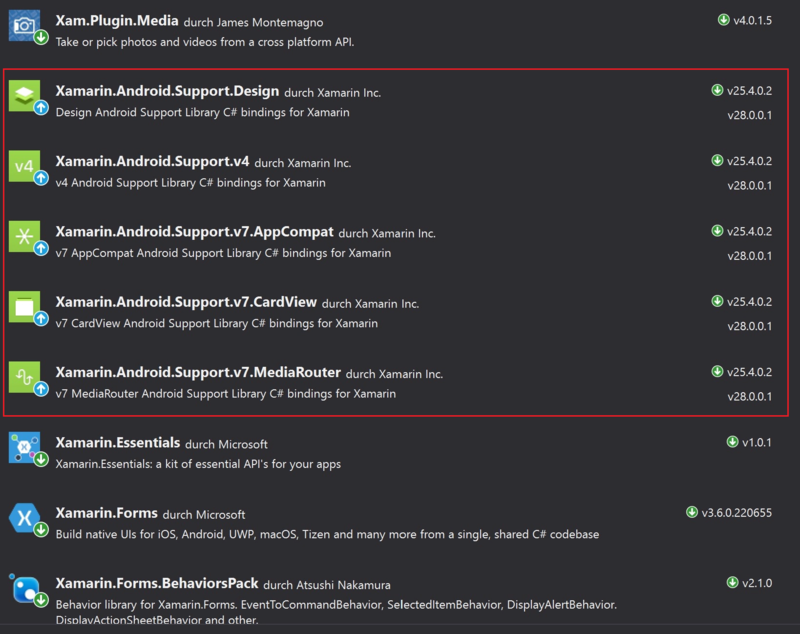 After several times tested , I think we should install Xamarin Android Nuget first, so we should uninstall the Xamarin Form. after that we can install the Xamarin.Forms Nuget. Note: if you encounter some problem , you can try to delete the bin and obj folders , then restart VS.